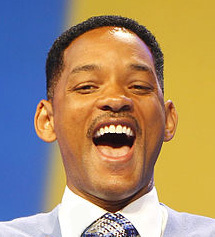 “Will-smith-userbox” by Walmart Stores (Original image) – File:Will Smith 2011, 2.jpg. Licensed under CC BY 2.0 via Wikimedia Commons. No, Will Smith has not developed chronic traumatic encephalopathy (CTE). He is however playing Nigerian-born Bennett Omalu in an upcoming film, Concussion. The Nigerian-born and trained forensic pathologist was the first to report an association between repeated head trauma and the neurodegenerative disease CTE. He relates his story in this interview. And talking of Nigerian doctors and the movies, Danny Glover will be playing a part in 93 days, a film about the action of a few dedicated doctors to stop the spread of the deadly ebola virus in Nigeria, Africa’s most populated country. The heroine of the story is however Dr Stella Adadevoh, the brave doctor who lost her life to the virus but saved a nation. This link tells her story.